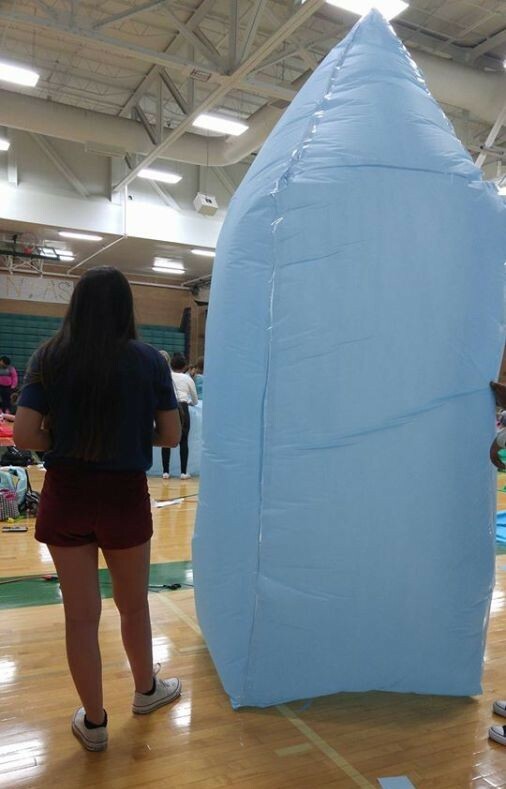 On April 22, the Mounds View gym was full of geometry students preparing for their final project: gigantic blow-up shapes. 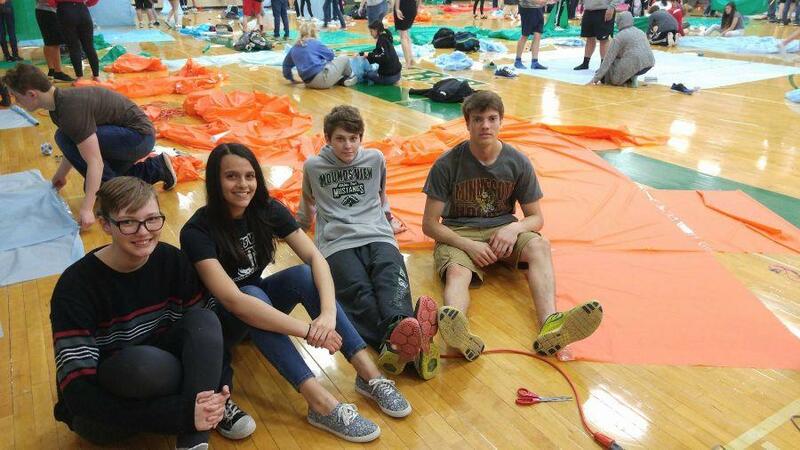 Mounds View Geometry students have spent time in class and out of class for a week to prepare for “build day.” This took place in the gym and lasted the whole day, replacing the students’ final exam for the unit. Top row from left to right: sophomores Jaden Blomberg, Dalanie Oliver and Shania Fleming. Bottom row from left to right: freshmen Taylor Trondson and Samantha Baraga. Students had mixed feelings about how they felt about the event in the end, but many agreed that the experience was, at the very least, quite different from a typical assignment. 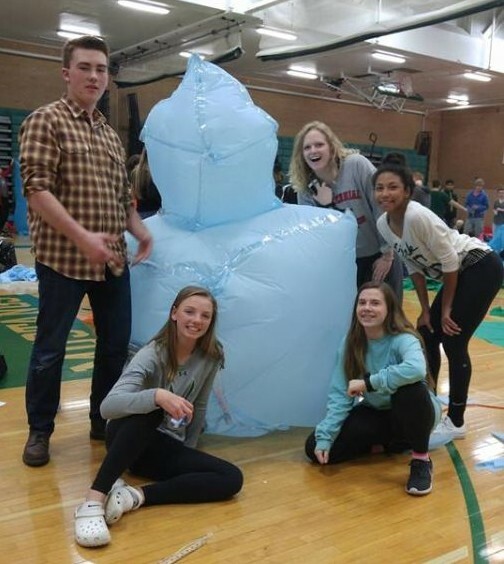 The time commitment for preparation was several hours for most groups, but it was able to make the gym balloon with energy for the day. From left to right: freshmen Marshall Praml, Laila Bushagour, Max Eide and Kaarl Damberg.